"To Jim Fontaine, Internet Architect, from Positively Creative Solutions, LLC! Just a great big THANK YOU for your creative talent and expertise in developing our new web site, summerhawknh.com. Both my husband and I are delighted with the new format, as are both our repeat and our new guests, who have commented on how much they appreciate the new style, content and information presented there. We also appreciate your continued support in keeping the web site accurate and up to date. Our business has significantly improved because of it!" 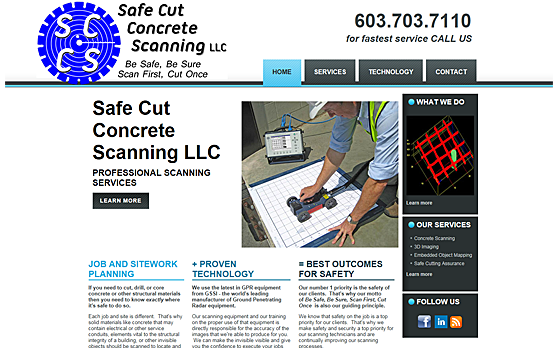 Safecut Concrete Scanning LLC provides 3D Imaging of objects embedded in concrete and other structural materials. Their number one priority is the safety of their clients. Which is why their corporate motto - "Be Safe, Be Sure, Scan First, Cut Once" - is also their guiding principle. If you need to cut, drill, or core concrete that may contain electrical or other service conduits or elements vital to the structural integrity of a building, call Safecut Concrete Scanning LLC and let them make the invisible visible! 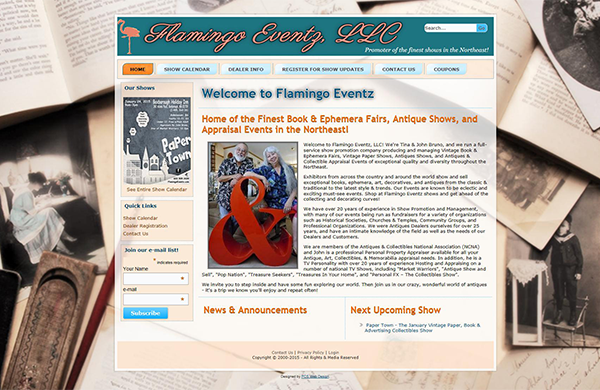 Flamingo Eventz, LLC is a full-service show promotion company producing and managing Vintage Book & Ephemera Fairs, Vintage Paper Shows, Antiques Shows, and Antiques & Collectible Appraisal Events of exceptional quality and diversity throughout the Northeast. They were faced with a daunting task: quickly replace their website as their prior provider was no longer going to support the proprietary platform their original website was built on. That's when PCS Web Design came to the rescue. We were able to produce a static copy of their prior website, transfer their domain names, and setup hosting to keep their site active while we created and entirely new CMS-enabled version of their website that ultimately replaced the static version. Now, updating their very active show schedule is handled by the business owner directly. A responsive, mobile-friendly design keeps them in front of their target audience who is often on-the-road at the various shows and are looking for them via mobile devices. PCS Web Design built a CMS-enabled website for this Disney-only focused travel agency. The website uses a responsive, mobile-friendly design that captures the fun and excitement of planning a Disney adventure whether the site is accessed from a desktop or a smartphone. PCS Web Design also provided guidance on how to best implement a Social Media strategy that clearly identified each independent travel consultant as being affiliated with Destination Orlando ETC. 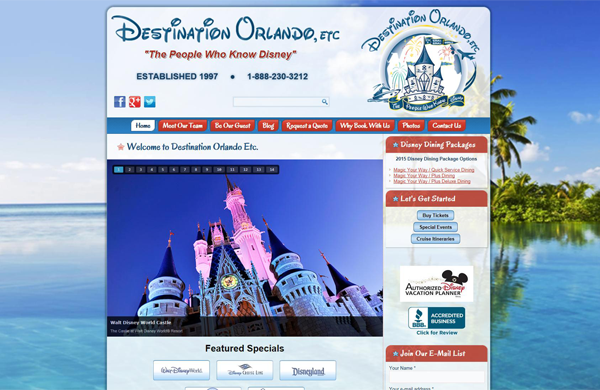 The level of support provided by Destination Orlando ETC's website has attracted independent travel consultants from across the U.S. to join this growing travel agency. 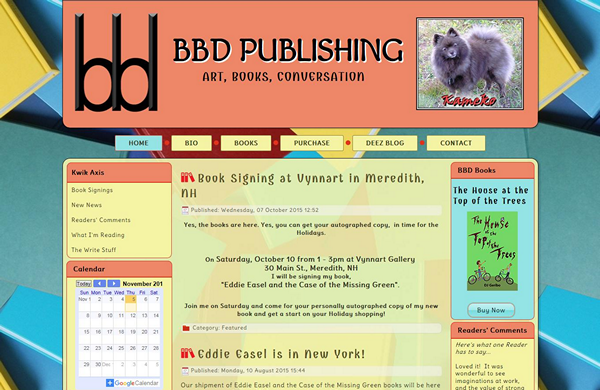 BBD Publishing needed a website to promote its authors and to handle sales of the titles it publishes. A CMS-enabled website with ecommerce capabilities was the ultimate goal and that's exactly what PCS Web Design built. Fun and colorful with an obviously book-oriented theme, the look-and-feel of the website was carried over to printed materials such as business cards and bookmarks to further promote the brand. Direct to consumer sales via the ecommerce capabilities makes it easy for referral sales and follow-on sales from give-away items at book signings or author appearances. A responsive design supports display on mobile devices. 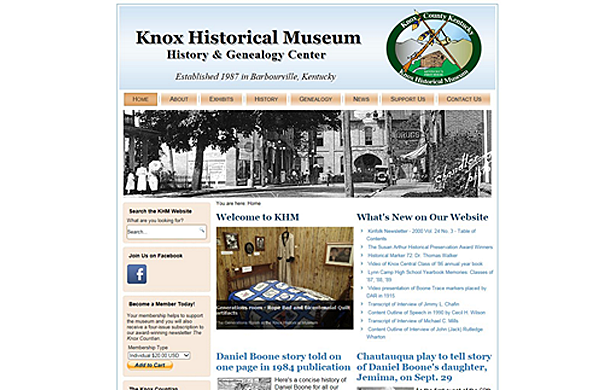 The Knox Historical Museum, located in Barbourville Kentucky, contacted PCS Web Design and after several presentations and discussions the rest, as they say, is history! This CMS-enabled website with e-commerce capabilities gives this museum a large online presence that has attracted people from across the U.S.A. to visit or revisit their local history. An extensive collection of photographs, their award-winning newsletter - The Knox Countian - and an extensive collection of written and oral history recordings make this small museum a literal treasure trove for anyone interested in the history of Knox County, Kentucky. Regularly scheduled remote training sessions help to keep the museum's all-volunteer staff efficient and productive in adding more and more content from the museum's collections to their website as well as items for sale in their online Museum Store.